This story is one of several featuring the successes of our Kumon students. After enjoying this one, be sure to check out a few more of our Kumon Success Stories! He speaks as if his voice is racing to catch up with his brain. There’s a sense of urgency there, like he’s trying to beat time itself – and why not? He’s got some big goals. “I’m working really hard thinking about space. First I wanted to be an astronaut. Then a scientist, and finally I realized I could combine them and become… an astronomer!” As he delivers his life’s ambition, his voice cracks and he lets go a laugh. He doesn’t take himself too seriously. Astronomy is a pretty distant target for someone so young, but this little guy has already accomplished quite a bit. He’s already working through advanced math problems that deal with factorization, square roots, fractions and algebra. 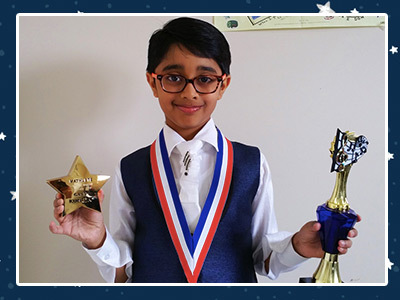 Darshil has been recognized for his achievements too, having received 9 medals and a "G by 5" Gold Star award from Kumon. He is currently studying far beyond his grade level in both math and reading. That’s a great place to be for somebody with so much time ahead of them. There’s no doubt that Darshil is talented. But despite his obvious gifts, the thing that really shines is his attitude. Everyone wants their kids to be successful, but the formula for success can often be hard to lock down. Whatever that formula is in Darshil’s case, we can be sure of the star ingredient: positivity. No matter what we asked him, Darshil’s response was full of zeal. He took every opportunity to tell us how great everyone around him is. “I’m grateful for my parents, my teachers, my Kumon instructor – everybody in my life,” the words float in the air as his parents smile and take them in. It’s a kind of freshness we aren’t used to these days. Darshil’s ability to spin things positively rivals that of most PR professionals. When asked about the upcoming spring break, he said he was sad he wouldn’t see his friends for a while, but happy his teachers could have a rest! A child can be born with gifts, but becoming so well-adjusted so early in life requires a strong supporting cast. One such cast member is Darshil’s Kumon instructor Brian, a person who has been guiding Darshil in his studies for the past 4 years. Variety is the spice of life – this may as well be Darshil’s personal slogan! And he’s been busy getting that variety in. 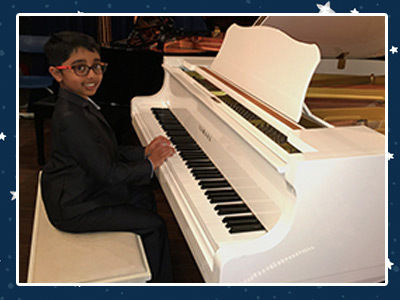 Darshil is a Montessori program graduate and sports fanatic, as well as a music lover and performer. As a pianist, he has performed at the summer festival held at the University of Calgary. 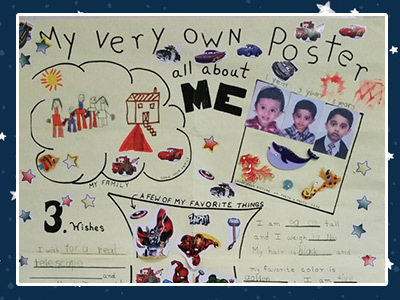 At under 10 years of age, Darshil has compiled quite a dossier. Darshil’s achievements are many, but what really underscores his impact is raw positivity. After speaking with the adults around him, it’s clear that Darshil’s attitude has been shaped through them. His parents, instructors, and teachers all work together to create an environment that is overwhelmingly constructive. The result? A future astronomer with enough positivity for the entire cosmos!